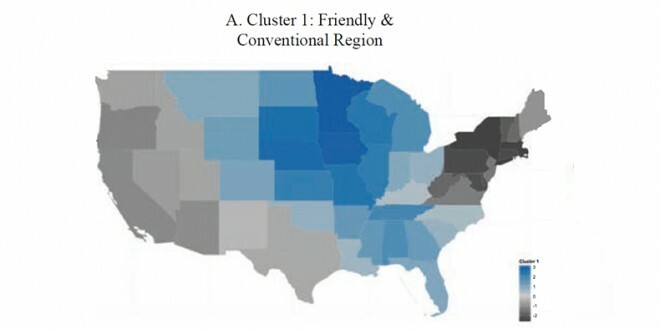 (NPN) – Dakotans and Midwesterners comprise a region that is “friendly and conventional,” according to a new social psychology study. Dr. Peter J. Rentfrow, a senior lecturer at the University of Cambridge, and his research team sampled hundreds of thousands of Americans from across the United States. The study, “Divided we Stand: Three Psychological Regions of the United States and Their Political, Economic, Social, and Health Correlates,” was published Oct. 14 online in the Journal of Personality and Social Psychology. Besides the “friendly and conventional” region, Rentfrow and researchers found two other psychological groups in the United States. The study found a “relaxed and creative” region generally spreading from the Rocky Mountain and Sunbelt states to the West Coast and a “temperamental and uninhibited” region comprised of states in the northeast. 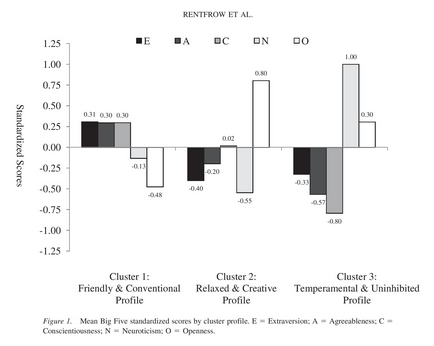 The study examined five main personality traits: extraversion (behavior directed outward toward others), agreeableness, conscientiousness, neuroticism (personality traits of instability, anxiety or aggressiveness) and openness. South Dakotans ranked third lowest of the 48 contiguous states and Washington, D.C. regarding neuroticism, with only Colorado and Utah rating lower. South Dakota ranked 10th highest in extraversion, with only the District of Columbia, Florida, Illinois, Iowa, Missouri, Nebraska, New Jersey, South Carolina and Wisconsin ranking higher. North Dakotans took the bottom spot nationally on openness and remained in the middle of the pack in the other rankings. However, this area also has disproportionate numbers of people who live unhealthy lifestyles, according to the study. So besides being interesting, why is this information important? Rentfrow and his researchers answer that in their study. “Characterizing regions on the basis of psychological characteristics of residents is important because physical factors are likely to be the force behind the individual-level behaviors that are expressed on macro level PESH (political, economic, social and health) metrics,” the study argues. The article is available online at http://www.apa.org/pubs/journals/releases/psp-a0034434.pdf. Copyright 2013 Todd D. Epp and Northern Plains News. All Rights Reserved.